I have an allergy to pine and when it burns my sinuses get stuffed up. I also have to wear a long-sleeved shirt and gloves if I’m handling the branches or my skin will break out in tiny red bumps. Much to my surprise, I discovered that I don’t have the same reaction to juniper which can be a substitute for pine in magic recipes. So, if you also have a pine allergy you might want to give this a try! 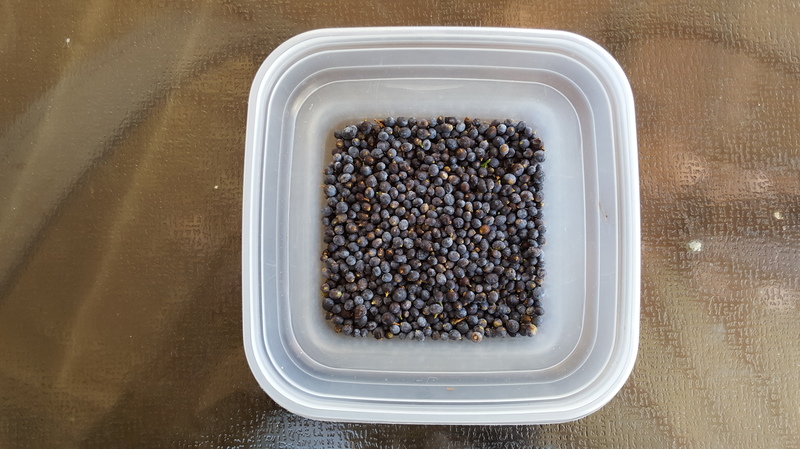 Juniper berries are harvested only when they turn a deep bluish purple in the fall. Earlier in the season they are usually green. If the tree is immature, the berries remain green all year long and should not be harvested. 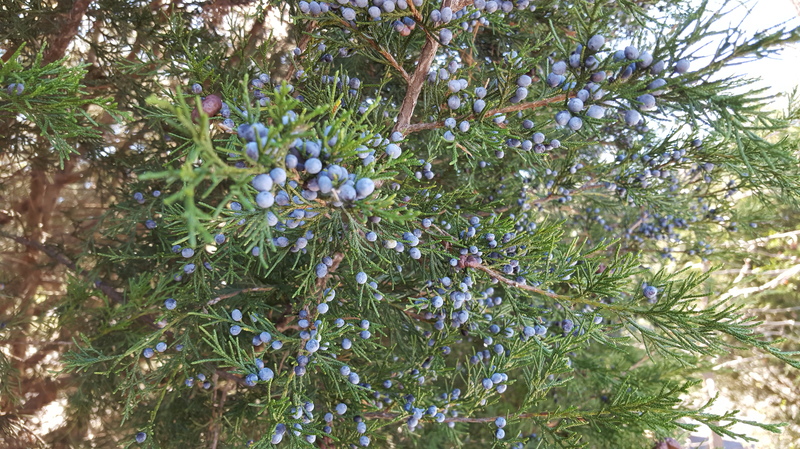 The berries should turn blue the year after that so keep your eye out for mature trees. 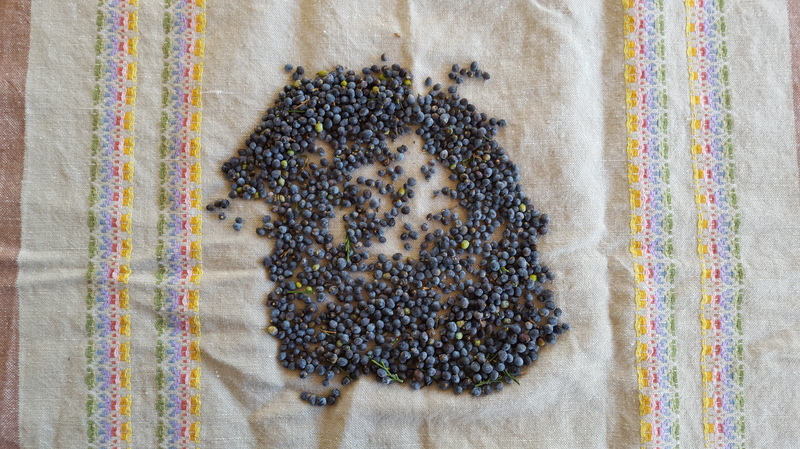 Once the berries are collected I spread them out over a towel to keep them from rolling all over the place! Then I sort through the berries discarding those which are green or just don’t look right! I also toss any twig or leaf debris that came along for the ride. My philosophy is that I only harvest as many berries as I need and leave the majority of them on the tree. Birds will eat them in the winter if there are no other food sources around. Finally the berries go on a cookie sheet and air dry for about three weeks. I then will give them a final inspection and remove any that have turned brown or have little holes in them which might indicate that they have bugs! This entry was posted in Herbology, Incense and tagged drying, harvesting, Incense, juniper berries. Bookmark the permalink.